You know what’s better than a shot of heavenly espresso that floats you right up to cloud nine and gives you an insane Swedish massage? Having it in the comfort of your home with zero hassle, that’s what! You don’t have to tearfully wave goodbye to your hard-earned money at your local coffee shop just so to sip on that cappuccino. And you also don’t need to have crazy brewing skills to whip-up a latte that will make your taste buds dizzy with deliciousness. Thanks to some really smart nerds out there, we now have super automatic espresso machines that will grind your beans, brew your coffee just as you like it and pour out a cup without you having to lift a finger. And here is the cream of the crema. This 1150-watt machine is armed with a stainless steel dual-boiler system, 1.8-liter removable water tank and 7-ounce bean container. If you’re particularly into lattes, then this baby’s milk frother will be simply godsend. It sports most of the features expected in a super automatic such as a burr grinder, cup warmer and an automatic shut-off set for 3 hours. And you don’t have to worry about fitting that giant mug of yours, because an adjustable coffee spigot accommodates most sizes. 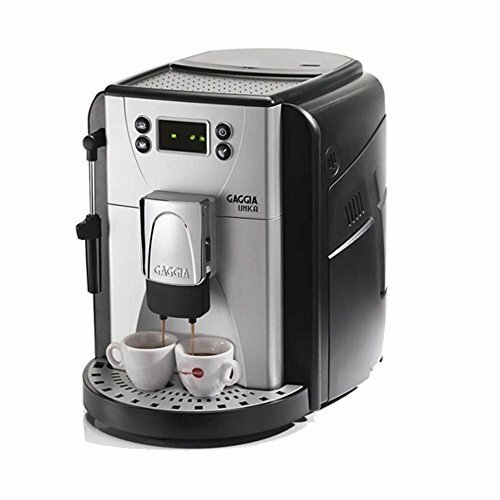 First contender on the list is this solid ESAM3300 Magnifica Super-Automatic Espresso/Coffee Machine offering from DeLonghi, which has quite a number of impressive bells and whistles at a price of $518.53. While that definitely isn’t chump change, it’s still quite the bargain considering what you get. Automatic rinse and decalcification system. Grinder and frother a bit too loud. The DeLonghi ESAM3300 Magnifica tries to cram all the conveniences of a super automatic in a well-priced package, and almost gets away with it. While this machine has some very impressive features under its belt, it comes a bit short when it comes to build-quality. There are quite a number of moving parts that don’t always fully work and the bean hopper is a bit on the smaller side. But despite some minor frustrations here and there, it still brews some pretty good espresso. 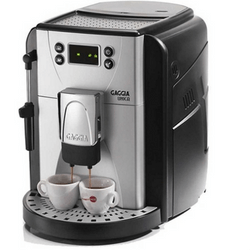 The Gaggia sports a 1.8-liter water tank complemented by an 8.8-ounce bean hopper. Not surprisingly, you get a single boiler attached to a 15-bar pump responsible for producing that rich crema. To make your work much easier, it features a wheeled-base, which makes moving the machine a total breeze, and also comes equipped with a removable drip tray and a pretty intuitive control panel. In a market populated by expensive machines that inevitably make your credit card shriek in horror, the Gaggia Unica is very refreshing indeed. At a reasonable price of Out of stock, it’s one of the cheapest super automatics you can lay your caffeine--loving hands on. But don’t let the low price fool you; this bad boy gets the job done! 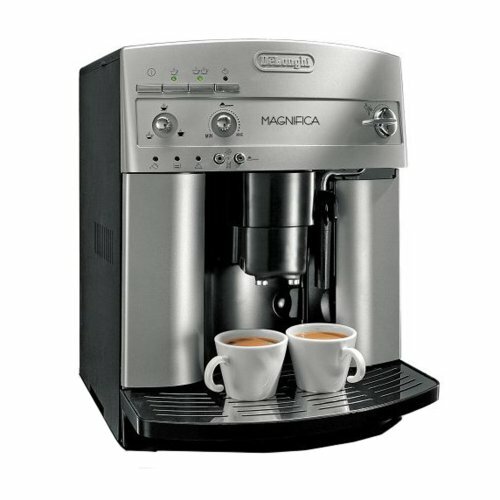 If you’re wary about spending a fortune on an espresso machine, then the Gaggia Unica is right for you. You may not get all the fancy extras such as dual boilers and cup warmers, but you do get a reliable coffee maker that’s good at its job. But most coffee lovers perceive espresso machines as works of art, and this particular one definitely wouldn’t make it into the MoMa. The plastic finish is a bit of a turn-off and takes away from the whole espresso experience. But if this isn’t a deal-breaker, then it won’t disappoint. For an espresso maker, this beauty is surprisingly compact at 11.5 x 8 x 12.5 inches. Inside that gorgeous exterior lies a 1450-watt motor, 15-bar pump and 1.8-liter water tank. Most of the machines on this list feature some pretty decent LCD displays, but the one on the Krups is arguably the best. A central knob helps you navigate all the different settings, and handy notifications pop-up on the display whenever the water tank needs refilling or the grounds bin needs emptying. Oh boy is this one a looker. 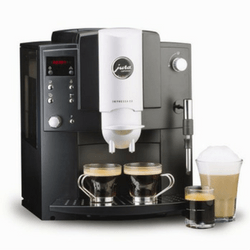 The Krups EA8250 Espresseria Super Automatic Espresso Machine is sure to be the focal point of your kitchen thanks to its sleek, modern, dark looks. It almost makes you tingle very time you look at it! But at $599.95 these striking looks don’t come cheap. Hard to clean milk frother bottle and various attachements. Not ideal for really tall mugs. Yes, it’s quite the investment, but you certainly get your money’s worth. While it does have plastic attachments, the build-quality is very impressive overall. It also gets bonus points for its compact size that will conserve elusive counter-space and for its head-turning looks. 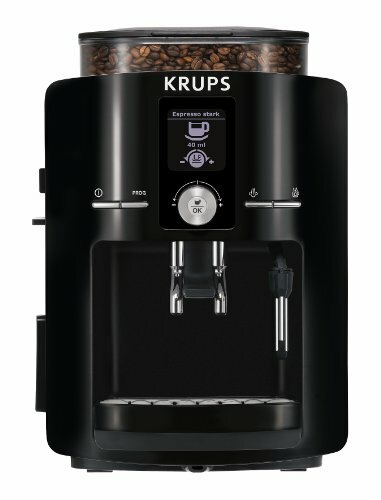 The Krups EA8250 Espresseria does what a super automatic ought to: produce a delectable cup of joe without requiring much input. For that much change you’d expect to get the neatest of features, right? Well, the Jura more than delivers. Firstly, this machine is a stunner. It has that premium feel that gives a clue to just how much it’s worth. Inside, you get a 1450-watt motor, 18-bar pump and a 1.8-liter water tank. Some of the stand-out features include a dual frother, conical grinder with 6 settings, 5-level water hardness indicator, automatic cleaning cycle and a slot to slip-in your pre-ground coffee. Now, the Jura-Capresso 13187 Impressa E8 deserves a drum-roll; or a moment of silence; or a purple heart. It just deserves something! If you want to brew an espresso as close as possible to what you buy at the coffee shop, then this is it. For these ethereal results expect to pay about $1,000, or more if you’re looking to get a spanking-new one. Done gasping? Let’s continue. Ability to use pre-ground coffee. Frother can dispense hot water for tea or Americanos. $1000 is no small amount to splurge on a coffee maker. But for the premium price, you get a premium product. You get durability that’s second to none. You get functionality that would make even the most snobbish of baristas smile in approval. And most importantly, you get a rich-tasting espresso that will make you melt into a puddle of satisfaction. 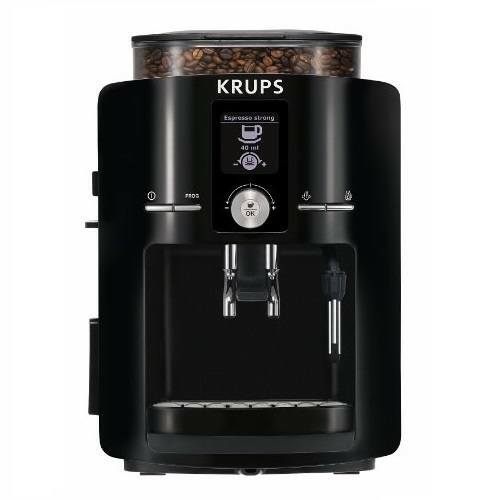 The espresso machine that perfectly balances functionality, aesthetics, durability and all-round value-for-money has to be the Krups Espressia. The fact that it is compact, looks like a dream, brews brilliant coffee and is insanely easy to use, helps it rise above the competition. 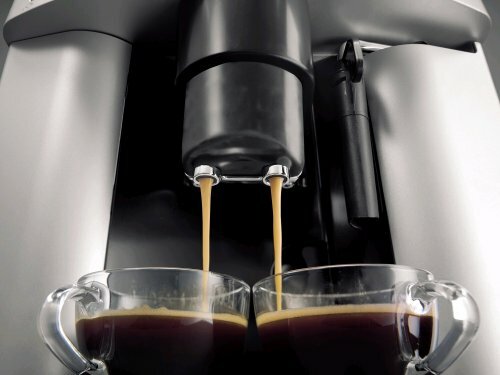 The Gaggia Unica may not be the best-looking of the bunch, but its reasonable price makes it a good buy for anyone that isn’t looking to spend too much. 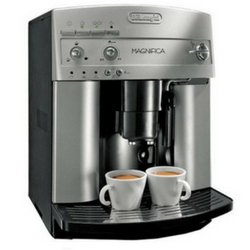 The DeLonghi Maginifica is also brilliantly-priced, but loses out on the top spot due to minor build-quality issues. But if money isn’t an issue or your love affair with espresso borders on the illicit, then do your taste buds a favor and get the Jura-Capresso. You won’t regret it. 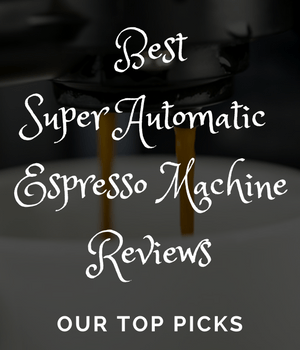 Let us know in the comments below, have you tried any of the above super automatic espresso machines?